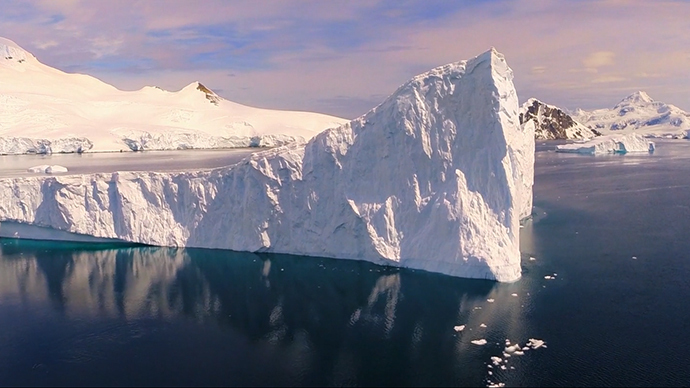 Bird's eye footage of the frozen continent is what Stockholm-based filmmaker Kalle Ljung brought from his trip to Antarctica. Using a DJI Phantom 2 quadricopter and a GoPro HERO3 camera, he filmed pods of whales, a crewmember standing on an iceberg and chillingly picturesque panorama views of frigid landscapes. The trip started from Ushuaia in Argentina and went to Port Williams in Chile, rounded Cape Horn and crossed the Drake Passage towards the Melchior Islands. Accompanying Ljung on his journey was his 73-year-old father. The trip took place in December 2014 to January 2015, but the footage was only published earlier this April. “We spent 16 days in the Antarctic and got to experience the most amazing scenery and wildlife before we returned back to Ushuaia,” Ljung writes.